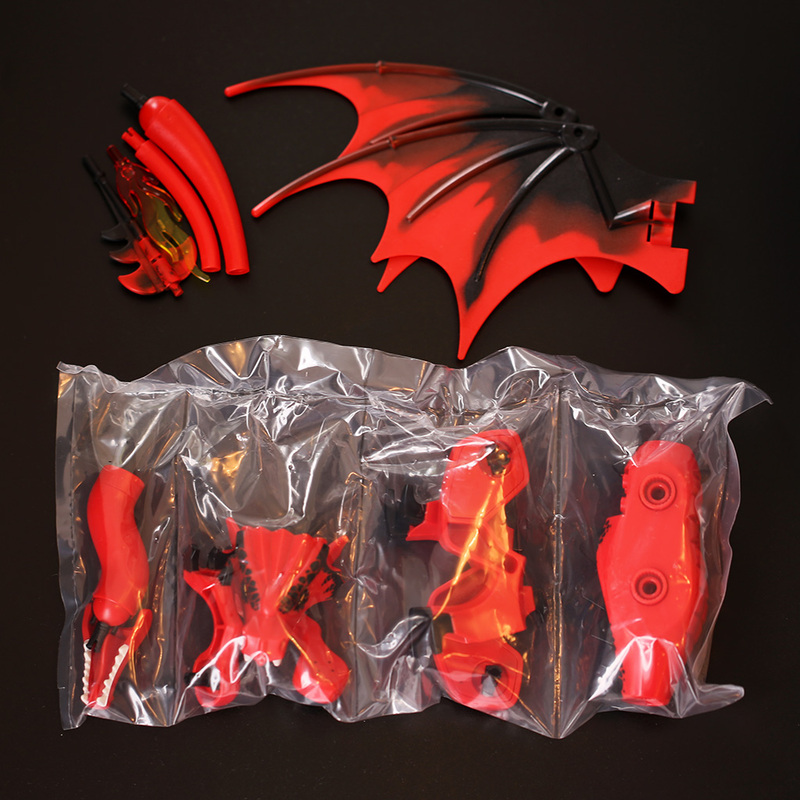 70403 Dragon Mountain is the antagonist’s headquarters set in the new 2013 LEGO Castle theme. 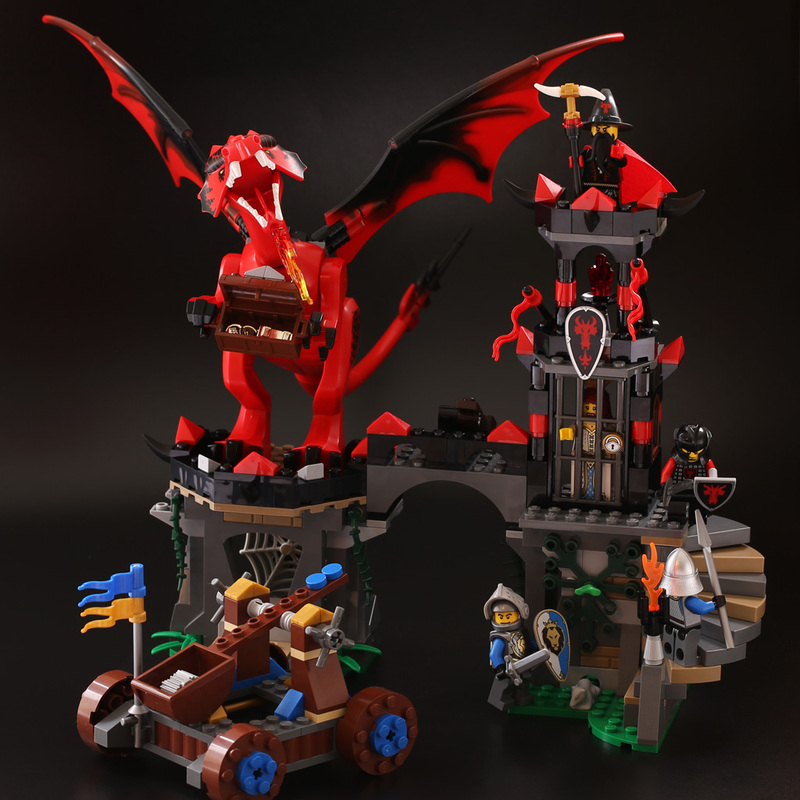 Home of the Dragon Knight boss, the Dragon Wizard, the Dragon Mountain also hosts his laboratory, treasure chambers, a prison cell and a red dragon – plus some attacking Lion Knights of course. For box photographs and initial impressions, see the first part of this review. Hot on the heels of building the Forest Ambush and earlier Gold Getaway, the Dragon Mountain was our third build in the new LEGO Castle theme. My son has taken quite a liking to the theme, even more so than with LEGO Kingdoms that sort of sparked this whole blog a year and a half ago – perhaps he has grown to an age where castley themes resonate better. I must say I have also began to like the new Castle far more than I expected. I love the bold new colors, the treasure/gold focus and the lack of too obvious fantasy elements (cool dragons exempted). It is just pretty much good old-fashioned medieval fun, much like LEGO Kingdoms was. If it wasn’t for the glaring lack of civilian elements, I might think of the latest Castle theme a worthy successor to the 1984 LEGO Castle… But even as it is, it is still a pretty cool theme. And those are my sentiments on the Dragon Mountain as well. It is a pretty cool set, not 6073 Knight’s Castle legendary, but still a pretty cool set. If there is one fault to it, it is the lack of an actual castle or a mountain – the set is merely a wall, like so many of its kind in recent year. But oh boy, the goodies they have packed into that wall. Just like starters are often better than mains at the restaurant, smaller LEGO Castle sets are often more detailed than the larger ones. Just like the 6073 Knight’s Castle with its front detail and a brick-build dungeon door was in some ways more detailed than the more generic, grey on grey on grey 6080 King’s Castle, the Dragon Mountain also packs a lot of stuff into a small space. There really isn’t anything generic or repetitive about the Dragon Mountain, all sections of it are unique, starting with a very nice Lion Knight catapult featuring brick-built wheels, all the way to the different rooms of the Dragon Knight’s fortress itself: an office, laboratory, treasure chamber and the prison cell, three balconies for the defenders to fire (their mouths, weapons and spells) from. 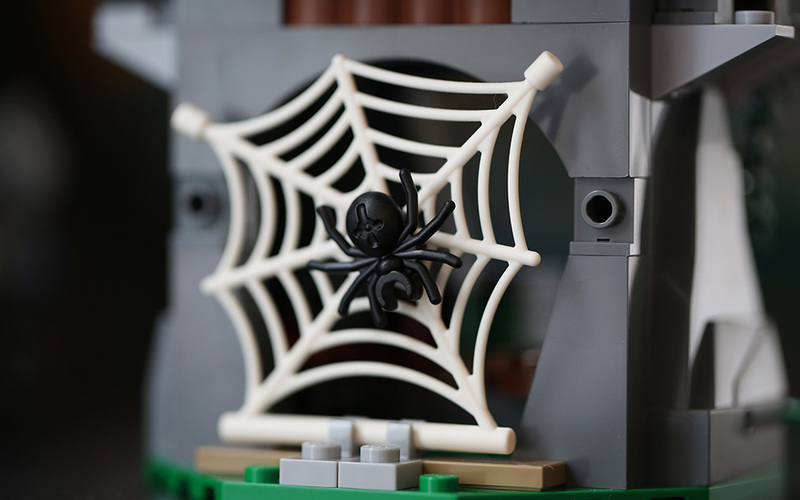 There is a lot of detail too: A hole for a mice to crawl through, a spider’s web, all sorts of potions, vials, jewelry and torches, even those gold coins and a gold bar TLG has omitted from the cheaper LEGO Castle sets are here. It really is quite packed. And I haven’t even covered the three best things yet: the Lion Knight, the winding stairs and the dragon. The Lion Knight took me all the way back to the yellow 1978 Castle theme with its torso armor and a (current) Space/City helmet combined with a castle themed visor – the 1978 Castle did both of these things and here they are again, in a more detailed, yet very familiar form. The winding/spiral staircase makes use of the spiral riser part, first appearing a decade ago in Harry Potter sets, that actually has a very “DUPLO” feel to it. The staircase feels a little out of place at first, because the parts are so big and move a little even when fitted (suitable for Hogwarts, maybe less so here), but in the end it is a very distinct addition to the set. The best part, of course, is the dragon. It comes in many movable parts and involves a suitable amount of building to complete, which is satisfying. You can bend its extremities into many poses, stick its studded feet onto plates, put stuff into its hands, flames into its mouth and you can ride a minifigure on it. But most importantly the dragon really looks the part. It is big, it is bold and it is very red. P.S. A 630 Brick Separator is included in this set too, which is nice.